Snowshoe foundation’s Lighting Our Hearts Fundraiser was a great success this year. Thank you to all the businesses who participated. All the trees are on display in the Village at Snowshoe Resort. They will be there until January 1st. ELKINS — Thanks to support from community agencies, students at North Elementary School have two special “buddy benches” where they can sit if they are feeling left out or need a friend. 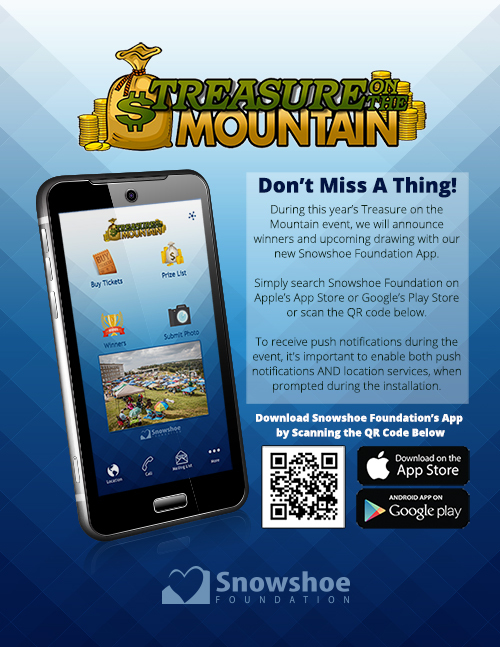 Snowshoe Foundation Finds Treasure on the Mountain! 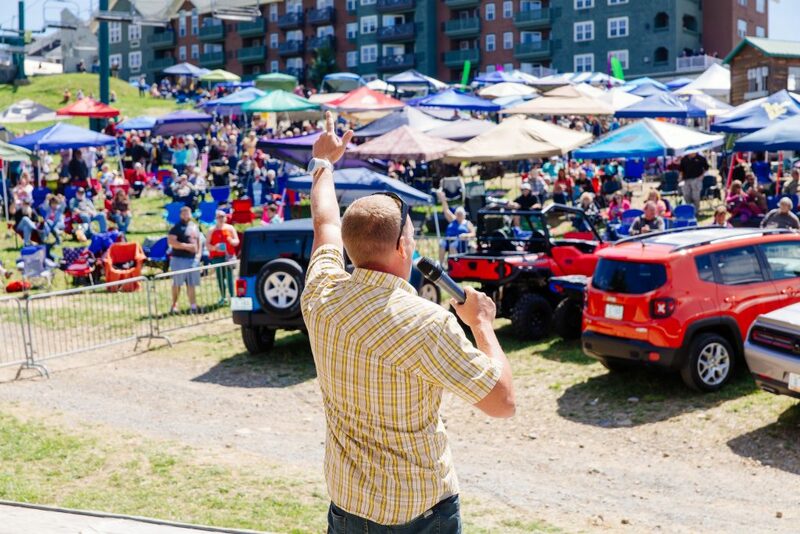 The crowd on the mountain was estimated at 2,500 as the winners of over $260,000 of prizes. Winners from as far away as Colorado, Missouri, North Carolina, Virginia were announced along with winners from all over West Virginia. Local winners included the winner of the Ford F150 from Elkins Auto was J Butcher from Phillipi. Other local winners included J Parker, J Malone, M Marfield, E Baldwin, R Jeran, and many others. The raffle winners are drawn over a period of 4 hours, with a winner being announced every five minutes. Great food was provided all afternoon, most by local charitable organizations. Everything from walking tacos, from Webster Springs Volunteer Fire Department, chicken from the Elkins Band Auxiliary, pork loin sandwiches from Tygarts Valley Lions Club, corndogs from Elkins Kiwanis’s, pepperoni rolls from Tygart Valley High School, to popcorn from Marlinton Women’s club, pork rinds from Durbin Lions Club, and Zul’s lemonade from Elkins Middle School and much, much more. All guns and crossbows were provided by Phillips and Sons Pawn Shop who annually oversees the side raffles. Interested supporters, present or not, could experience the excitement of the drawing by watching on Facebook or receiving notifications from the Raffle App which was provided by Illume Media. This event could not even be considered without the support of Snowshoe and the countless volunteer hours from Snowshoe’s employees. The raffle really is a community effort with volunteers assisting from ROTC, Tygarts Valley High School and Davis and Elkins College with the sale of gun chances and 50/50 sales during the raffle. Other groups spent many hours selling Raffle tickets at various events over the past 10 months including Matt Lewis, coach of the Elkins High Cross Country and Track teams. These selling groups earn $10 for every $100 ticket sold to benefit their organization. 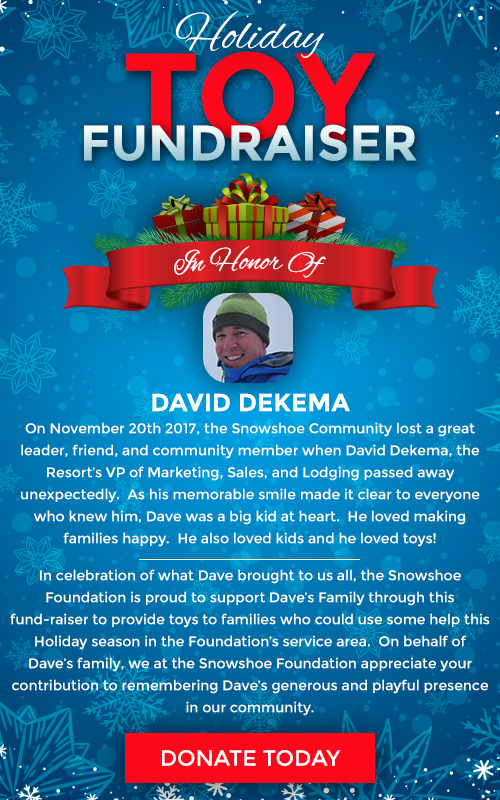 “It was a great afternoon for all those that attended and we really want to thank all of our volunteers that make this such a great event”, stated Frank Santmyer, Snowshoe Foundation President. Frank also noted, “We really appreciate our Corporate Sponsor Elkins Auto for all they do for us throughout the year and their assistance in promoting our raffle”. “In addition to all the local companies that help with our prizes, we receive great help in marketing our event from The Intermountain, WDNE and this year from WCLG in Morgantown”. Voras Haynes, Snowshoe Foundation Vice President added, “We want to thank all of the folks that help make this event the success it is. We have a great Board and unbelievable volunteers. Jessica Stump and her team do a tremendous job putting together an event of this magnitude. The funds raised by the Foundation help all kinds of great organizations in our area. Beginning in September the applications for Snowshoe Foundation grants will be available online at Snowshoefoundation.org. We invite all non-profits or public schools or programs that are doing great things in our community, but may need a bit of financial assistance, to apply. We can assist any non-profit located in Pocahontas, Randolph and Webster counties. We will also be funding scholarships for residents of these counties that are pursuing additional education after high school including college and trade schools. The scholarship applications will be available in February. If your group or student has any questions please contact Jessica at 304.572-5671 or check out the Foundation website at Snowshoe Foundation.org”. Winners will be announced here on the website as well as on the official Snowshoe Foundation app through push notifications. If you haven’t already downloaded it please click here to install. The Treasure on the Mountain January 30th Early Bird Winner is S. Jordan from Marlinton.